Then find out what’s behind common money and relationship struggles (including the author’s own story). Tuning into our beliefs, values and the way we think is the key. But we go a step beyond creating a prosperity mindset — as you also need solid financial principles. • prepare to invest and take action. This book is gives a framework for money management, with a dash of life experience, and tips on remaining positive. 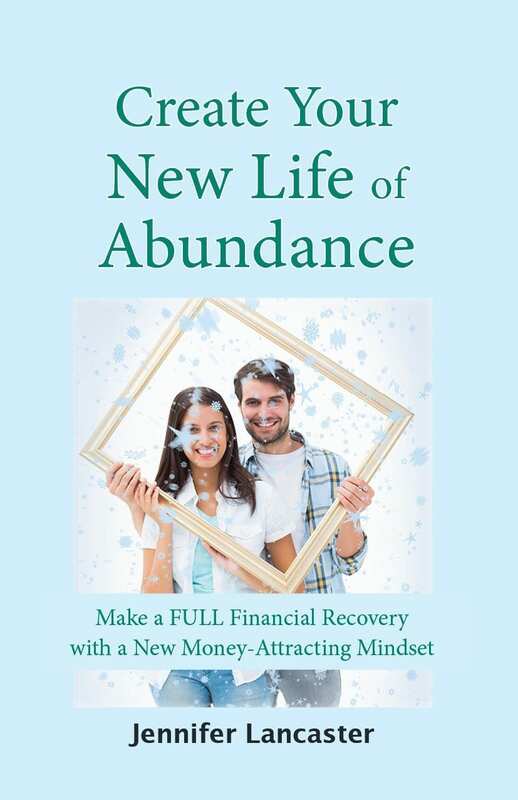 Download our 10-page PDF, Create your new life of abundance - preview. An effectively well written book. The author offers sound advice re accounting past experiences that can enable a reader to develop goals towards reassessing their own financial situation. I found the theoretical underpinnings to be of exceptional value when placing a paradigm in reeducating myself while readjusting my own new money attracting mindset. Jennifer Lancaster is an independent author. She writes books on the basics of money management, investing, marketing, and protecting yourself from scams. Why? Well, she enjoys making many of those mistakes common to novices, so that at least everyone can learn from them. Her business Power of Words helps first time self-publishers.